Currently, many Americans maintain an employer-sponsored retirement account known as the 401k plans. 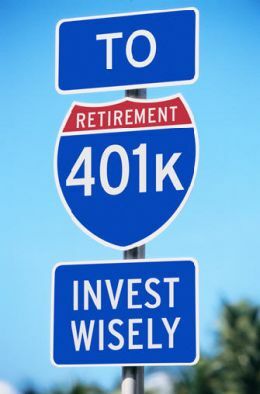 As the funds grow in these types of retirement savings option, you may wish to learn about the possibility of a 401k withdrawal when you need your money. You should note though that there are typically stiff 401k withdrawal rules and some penalties involved in a proscribed distribution of funds. 401k plans are administered by two set of policies. One set of rules is incorporated mostly in the IRS Code 401k Section. The other set is stipulated by the company that provides the plan as well as the account administrator. While some things are allowed by the IRS, the company provided plan comes with its own set of rules that affect the overall functionality and benefit package of the 401k account. Thus, you must evaluate and double check the details of your account to know the allowed and proscribed things. Many investors think that just because something is permitted by the Internal Revenue Service, their account should also allow it, which is not true. You should familiarize yourself with the risk involved in retiree investing. The investments within your 401k plan are your sole property; therefore you are in complete control over them even if you want to do a 401k early withdrawal. However, you must recognize the rules and limits concerning such distributions, to include the possibility that your money can’t be accessed while you are still working with the company. Furthermore, distributions made prior to the age of 59 ½ may result to the reimbursement of large penalties to the IRS. Remember that all distributions from a 401k regardless of age will be taxable as income. However, there is an exclusion for contributed funds that was already subject to taxes, which is very rare. Thus, the significance of tax planning becomes apparent as the amount of the distribution increases. For instance, you are earning $75,000 for the year and you took $30,000 from your account, you will eventually owe taxes on the total amount of $105,000 for such year. Distributions taken from a 401k plan prior to reaching the age of 59 ½ will acquire 10 percent tax penalty and will be considered as an ordinary income. For instance, your $30,000 withdrawal will let you pay for $3,000 penalty, while you owe taxes for the entire $30,000, which is a hefty amount of money for many. Similar to Roth IRA withdrawal, the actual trades in a 401k plan should be executed accordingly based on the account documents. Distributions are approved and processed as per the account rules and regulations and may only be authorized at certain intervals. For instance, an account may only permit funds to be withdrawn quarterly – meaning the distribution may take months to your reach your pocket. Keep in mind that most 401k account providers make sure that a penalty is imposed for account participants who make a distribution, except for a 401k hardship withdrawal, while still employed with the company. The penalties may be enforced by banning further contribution or participation in the plan or proscribing contributions from paychecks for a specific period of time, normally one year. 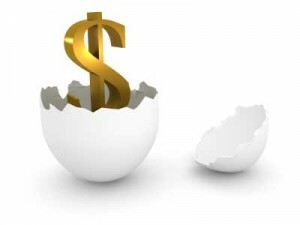 If you are not satisfied with the gains you are getting from your 401k plan though you think you have the best 401k investment, when you resign from the company, you can always do a 401k rollover to IRA and take advantage of higher rate of return. Read and understand the 401k plan information to learn about all of your possible loan options. The loans coming from a retirement account give out funds for specific kinds of emergencies, which can be recompensed through your paychecks for a 5 year term. These loans do not come with taxes or penalties integrated in a regular distribution. Determine the number of 401k distribution that you can accomplish in a given calendar or tax year. Your employer and the account administrator may establish a limit on cash distributions to promote responsible retirement saving and investing. Familiarize yourself with your 401k withdrawal limits to be able to minimize the penalty imposed on distributed funds. You should utilize this upper limit together with available funds from your other accounts to have sufficient amount of money for your immediate financial needs.